A Brunch to Last All Day | "Il faut goûter"
I have some very cool friends who like to do very cool things, like host Sunday brunches for all their other cool friends. 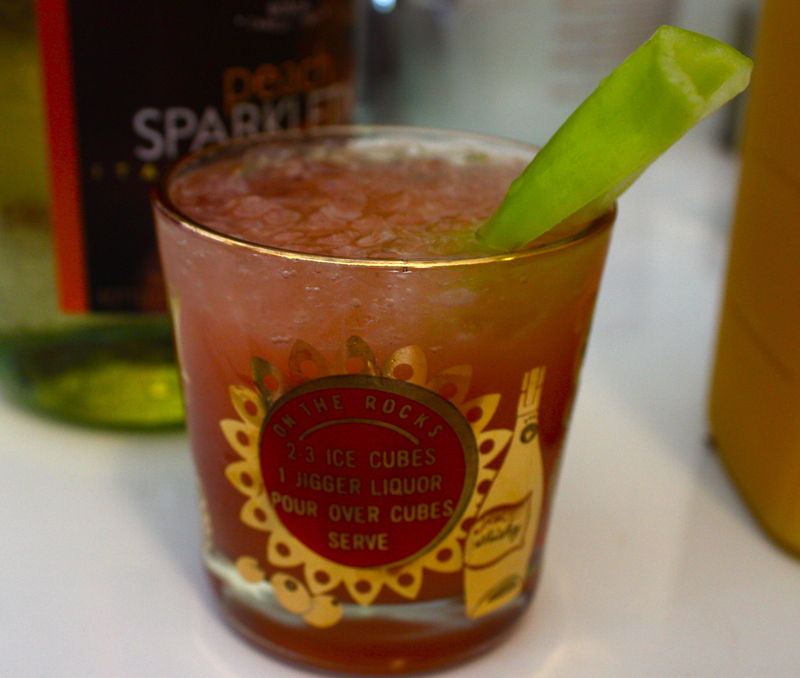 And all these fine friends know a thing or two about making crowd-pleasing food and beverages. This fills me with glee and gladness. 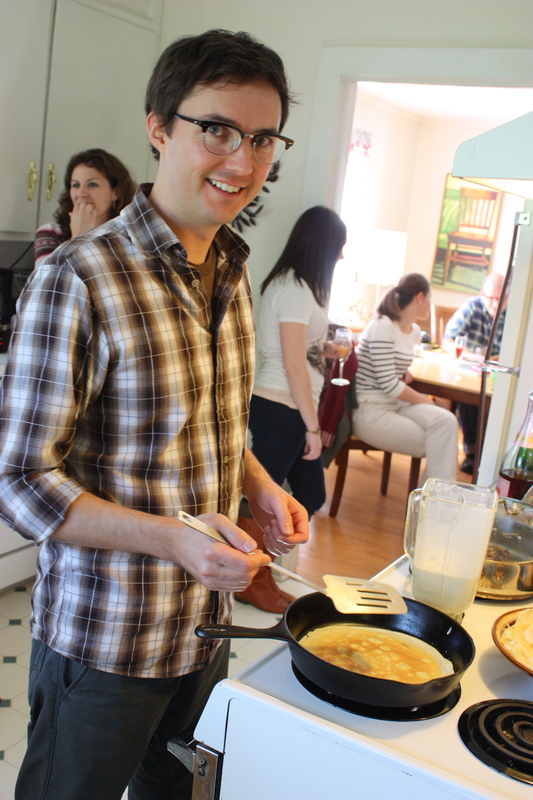 There’s Jason–he’s the host–making sweet crêpes in a cast-iron skillet. Mollie and I sprinkled powdered sugar on those crêpes and then squeezed a bit of fresh lemon juice atop. Heaven, in a few feathery-light bites. 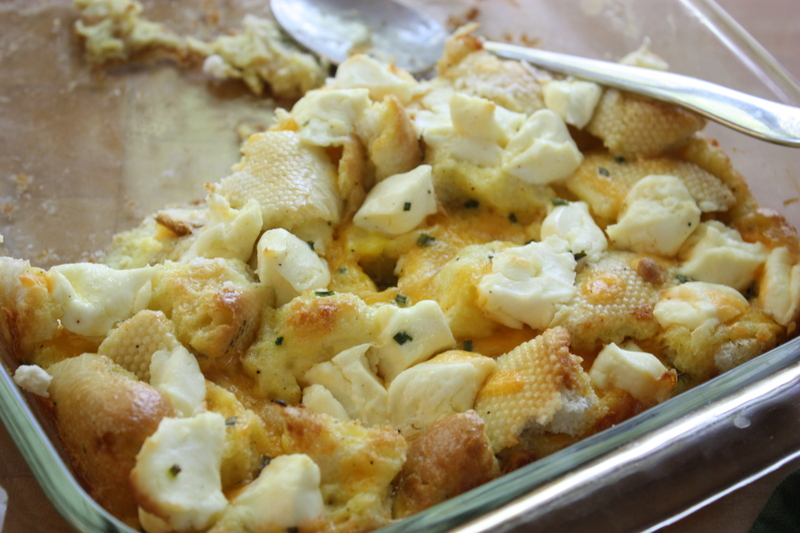 There’s a “pot-a-toe” casserole by Bethany. Why pot-a-toe? Not sure, maybe because it’s almost Halloween and Bethany’s being witchy. Anyway, it was ham and cheesy and delicious. 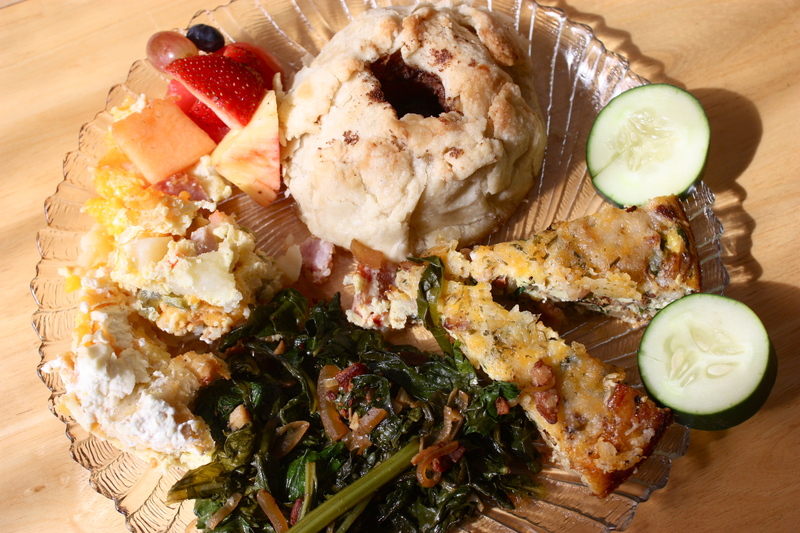 Matt K made a delightful frittata, and everybody called it quiche. 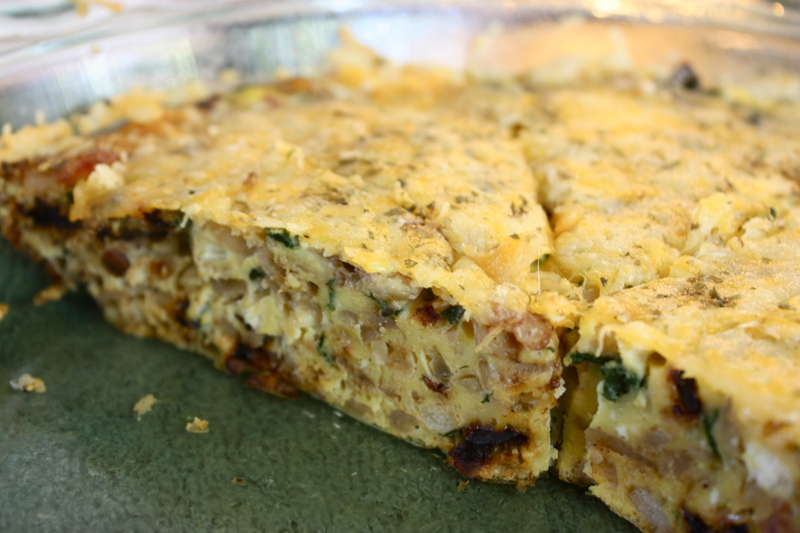 It’s full of hashbrowns, spinach, bacon, and onions, so it doesn’t matter what you call it, it’s exactly what you want to eat. 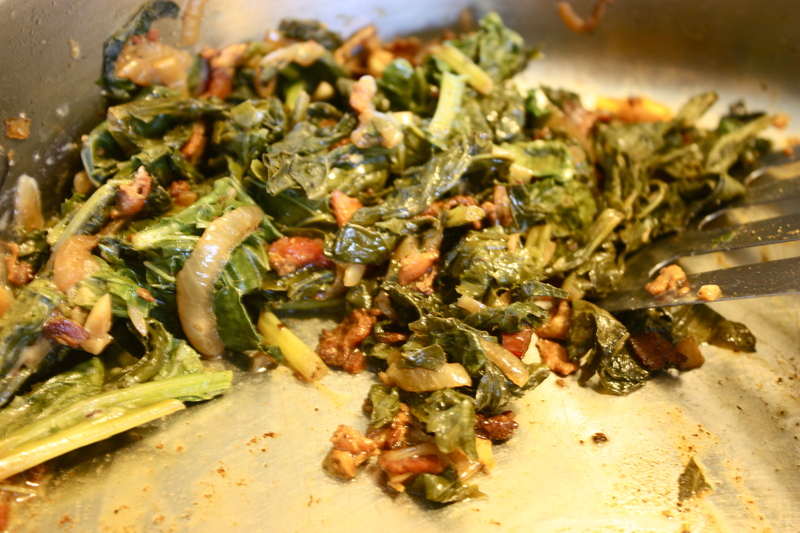 My best contribution to brunch was these Wilted Kale and Mustard Greens. 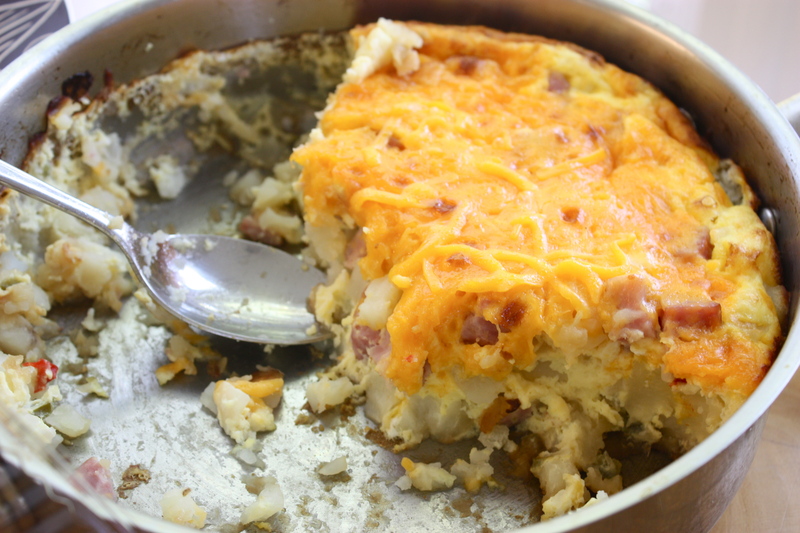 This is really simple to make, and it’s an awesome tasty side dish for cheese or egg dishes. There’s just bacon, onions, balsamic, and dijon mustard (and s & p) in there. A scrumptious combo! I must say, people were excited about those greens! 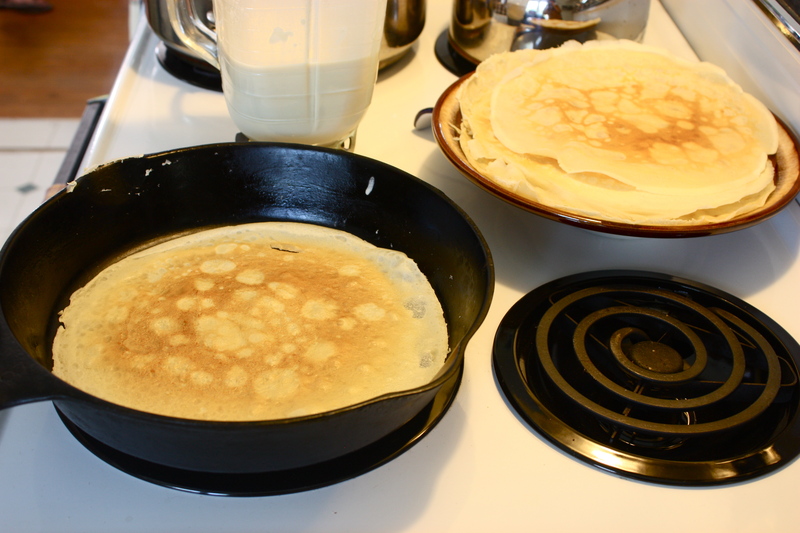 I’m glad, because I insisted on wilting them there so they’d be served immediately, so I was kind of in Jason’s way while he made his lovely crêpes, and I splashed balsamic on the stovetop. I also brought these Cinnamon Roll Muffins I recently posted. But I am perpetually late, so I brought them unbaked and Jason and Stacie let me bake them in their oven. So I succeeded in dripping cinnamon sugar in the bottom of their clean oven, which they will smell burning when they do any baking in the days to come. Also, I made the kitchen probably 20 degrees warmer while all the guests bustled about. And finally, a few of the muffins burned because I was busy with those greens on the stovetop, drinking a Mimosa, thinking my cell phone in my purse IN ANOTHER ROOM would serve as a proper timer. I am silly. Here’s my plate. You’ll notice a mound of pastry with a hole in the center–there’s an apple inside there! Matt T made these baked apples wrapped in pastry with perhaps cinnamon, sugar, and butter in the center. What exquisite Fall flavor and presentation! And Sarah T made sure we got our serving of fresh fruit. Fresh fruit always belongs on the brunch menu. 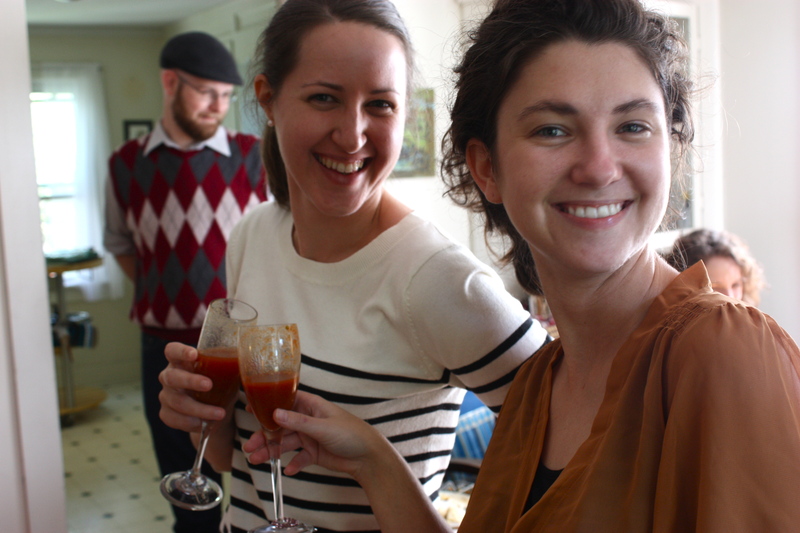 There’s Stacie—the hostess, on the left, and me enjoying our delicious spicy Bloody Marys by Mike. They were bloody good! And Stacie, she is just the nicest. 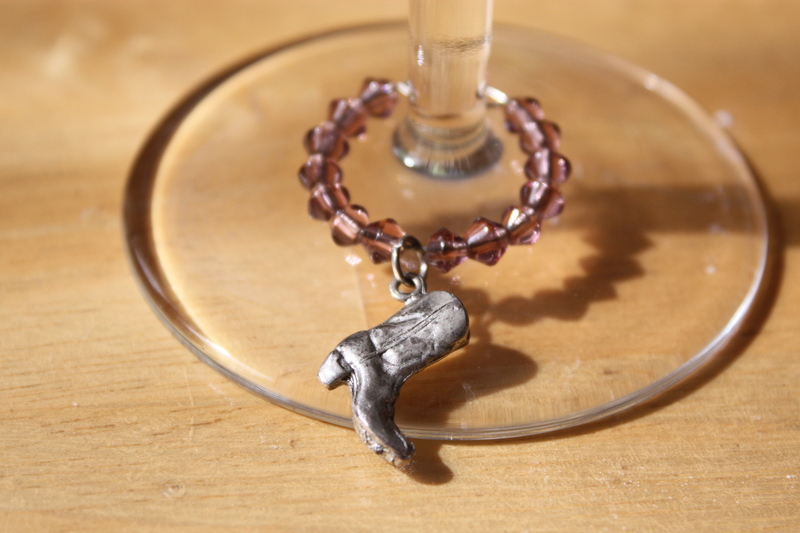 And the fanciest–she has little drink tag charms–I got a cowboy boot! I didn’t get a photo unfortunately, but the owner of Sweet Sallie’s Bakery and Café was in attendance, and she brought a spread of pretty cupcakes. I got to enjoy a Pumpkin Cupcake, delicious and timely. Thanks, Stephanie! So brunches like these aren’t a short affair. We rolled out around 4 pm. 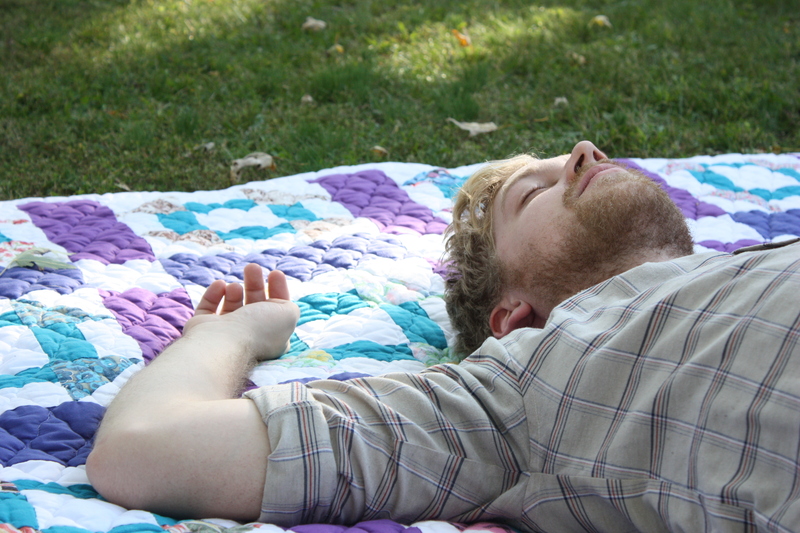 After all that food, there were hours of sunny yard-lounging. 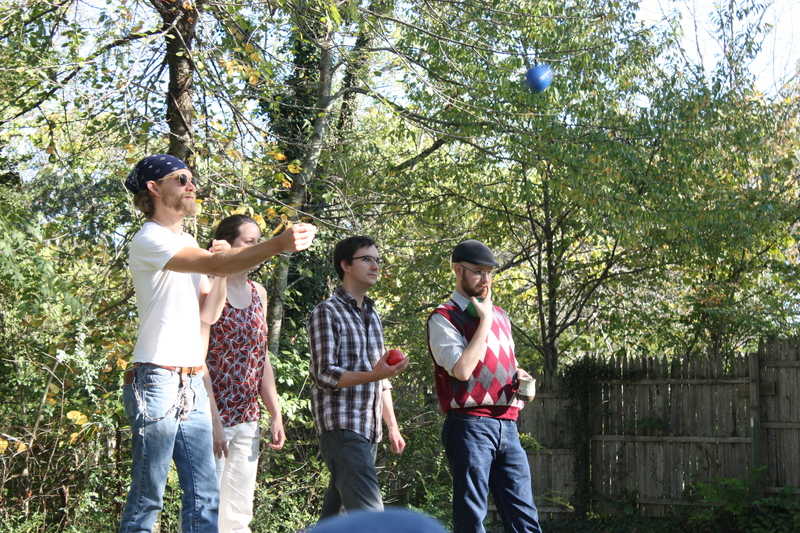 There were footballs and frisbees, blankets and beach chairs, Bocce, juggling, and people wearing pretty boots. Chuckles and smiles permeated the Autumn air, and coffee and cocktails went down easy. It was a perfect Sunday. These people are a special group. This entry was posted in Uncategorized and tagged cool friends, food, friendly gathering, potluck, Sunday brunch, wilted kale and mustard greens by needtotaste. Bookmark the permalink. What a fun day with good food and great friends. Al, we ALL need these recipes. Make some connections and post them later. Oh, my, you’re making me seriously hungry, and that after a very late lunch.